Despite what the owners say is a “diligent” effort to get the Deauville Hotel up and running again, Commissioners heard this week it will be a long, slow road to getting there and they can expect the iconic Miami Beach hotel to be closed for at least two more years. The Deauville was shut down following an electrical fire last July. 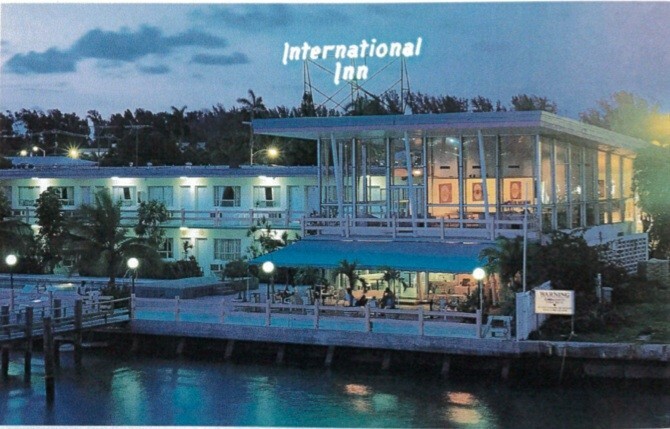 When Hurricane Irma hit, the hotel was especially vulnerable without electricity to operate pumps and air conditioning. Because of safety factors, no one has been inside to inspect the damage and potential mold issues. Meanwhile, broken windows continue to expose the interior of the hotel to the elements. Following concerns from local businesses who have felt the loss of the hotel and neighboring condo associations worried about the building’s deteriorating condition and safety issues, Commissioner Kristen Rosen Gonzalez led a charge to push things along. After several months of what she felt was inaction and lack of response from the owners, she asked the City “to take aggressive action to force them into compliance” with all regulations including exploring a demolition by neglect order. The Land Use Committee affirmed her request and forwarded it to the full Commission. This week, a member of the family that owns the hotel appeared before Commissioners at their monthly meeting to address the concerns. “We have been called neglectful for not answering emails,” she said. “I just want to set the record straight. I personally have received one email on January 3rd and since then we have spoken up here before a meeting of the Commissioners.” She was referring to the April Land Use and Development Committee meeting in which she updated members on the hotel’s status. Salguero said she and the City Manager met with Meruelo, her family, their lawyers, engineer, and architect this week. It has been a complicated process to get all of the permits necessary due to current code changes since the hotel was built but those permits are now in place. The FPL issue is similar, she said. In order to meet current code, the electrical vault needs to be raised above street level and upgraded. Salguero said she will join the owners in working with FPL to see if there is a way to get partial power restored with a commitment that the owners will restore the vault to the new specifications so repairs can begin. Salguero said she is focused on emergency repairs at this point. “They have plans to do major renovations to the building. Those will take longer but it’s at least to get the temporary things up and running. The hotel may not be open for a while but if we don’t get certain emergency things taken care of” the building will continue to deteriorate. Meruelo added, “Obviously we can’t enter the building to assess the safety of the structure without full power so that’s going to determine the extent of the development plans.” They have engaged architect Kobi Karp to help. “I know the challenge in North Beach was the impact economically on all the small businesses but quite candidly – and Kobi Karp was at the meeting yesterday – they have a very elaborate redevelopment plan but even without that elaborate redevelopment plan, you’ve got a building that’s been closed for months, rain, possible molding, windows that are broken. This is a repair job that is probably a two-year endeavor to reopen even without a redevelopment so we can try to work with them to expedite as much as possible but reopening of this building any time soon is highly unlikely.” Morales said he didn’t want to put words in the family’s mouth but that was his guess. Meruelo did not contradict him. “I think the most important thing we can do is what Ana said. We can make sure the property is clean, that the fences are up, and that the property’s safe to the outside public and that’s what we can do,” Morales told Commissioners. “We didn’t hear from you and we had directed staff to reach out to you and we weren’t getting a response so I’m sorry that we got to where we are, but I’m happy to know that you have retained an architect and that your intention is to renovate the Deauville,” she said.